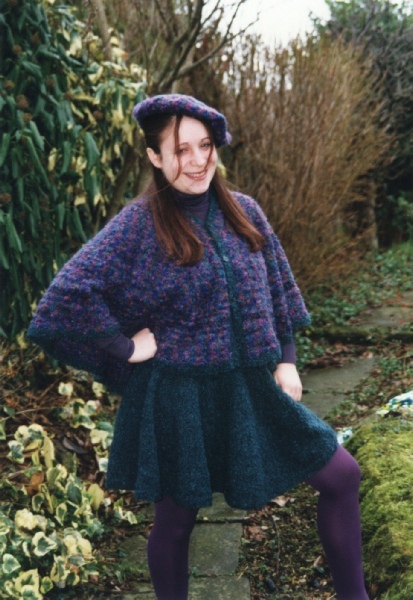 If you want to knit a circle you don’t need to be 100% accurate on every round. 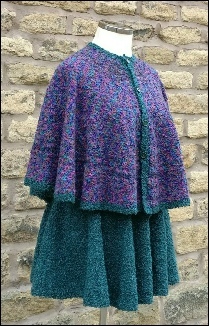 The knitting is flexible and will stretch so that it appears to be round. 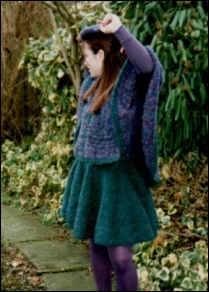 For many knitters that is good enough but there are times when it is better to be more accurate. 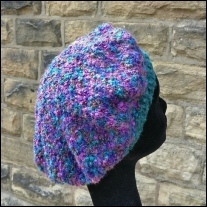 Simply Circles explores the mathematics of knitting circles from the centre outwards. 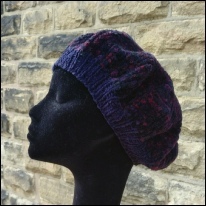 It includes methods for calculating the number of increases needed to make the circle lie flat, based on your individual gauge with your chosen yarn. 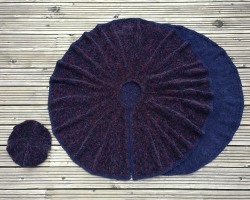 These circles could be also be worked from the circumference inwards though that method gives you no option to change your mind about the size of the finished circle. 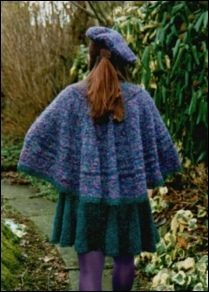 The booklet also includes more specific instructions for making the outfit shown below. 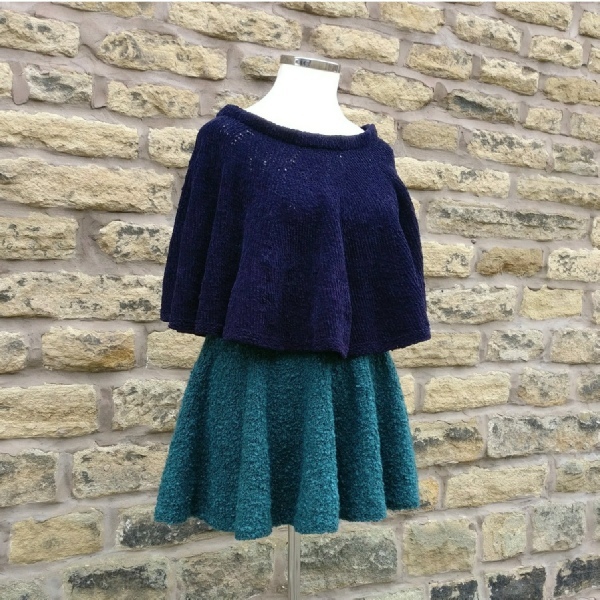 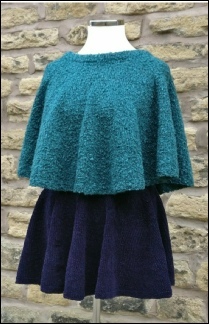 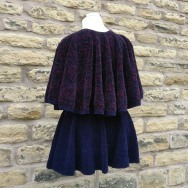 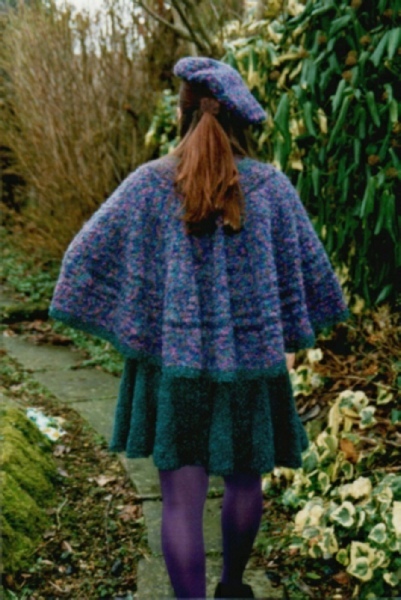 This three-piece outfit consists of a skater skirt and hat knit in the round, on a circular needle, and a matching cape which is knit back and forth. 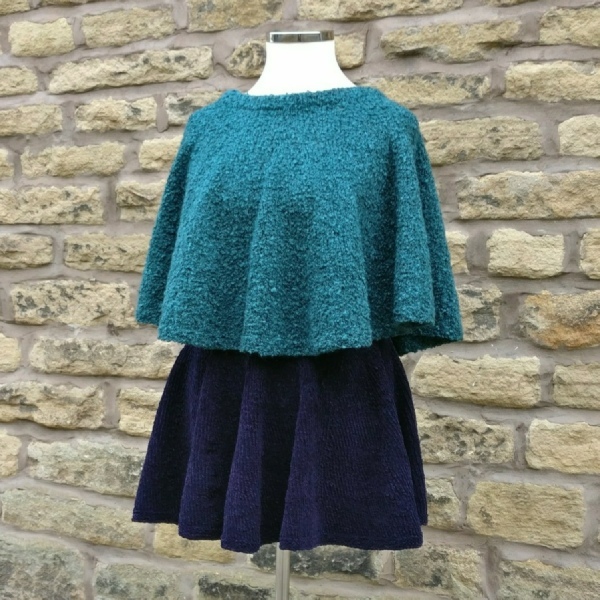 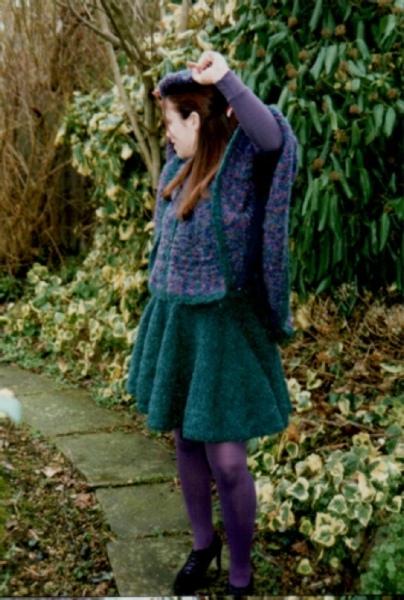 The outfit is very ‘swirly’ to wear.The beauty of it is that it can be knitted for one person but fit a whole range of other people from little girls to grandma, using a little trick to make the skirt very adjustable when needed - though grandma might prefer her skirt a little longer. 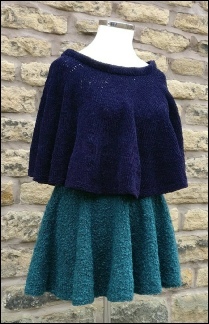 If you are not interested in the mathematics of knitting circles and how to incorporate this into your own work, you can buy the patterns for the individual parts of the outfit on the Accessories page of the Order Form. 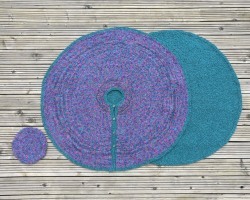 Simply Circles can be found on the same page. 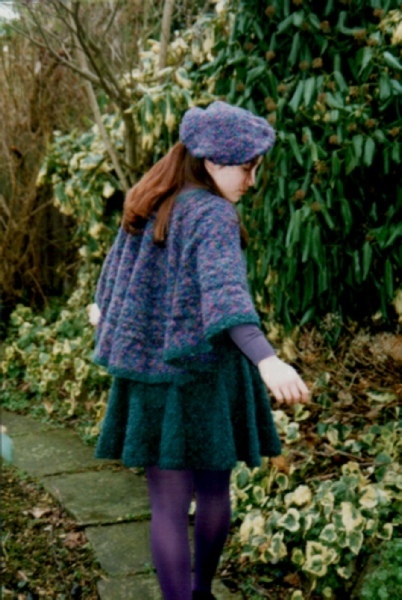 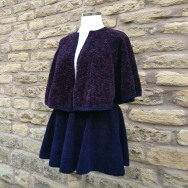 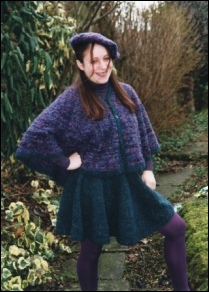 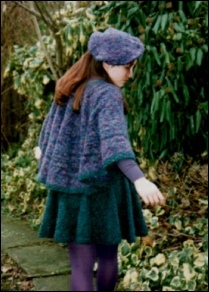 These old photos are from the year when the outfit was made and short-listed in the International Mohair Competition 1996.
to create ‘more than a circle’.